Email is very much alive and well in 2013. I am happy to report that Zimbra is poised to lead the way with their unified email, collaboration, and social communities. This past week I attended Zimbra’s “The Big Social” event in Dallas along with our Mail Systems Architect, Joaquin. The Big Social is a technical user group conference for customers, hosting partners, and the new Zimbra team where we could meet, learn, and share experiences. As a long standing Gold Partner, I was fortunate enough to be a co-presenter in one of the Management sessions along with Shin Abe from NTT Japan. A little back story. XMission has been providing hosted Unified Email & Collaboration on the Zimbra platform since 2006. We have been a Gold Partner since early 2007. 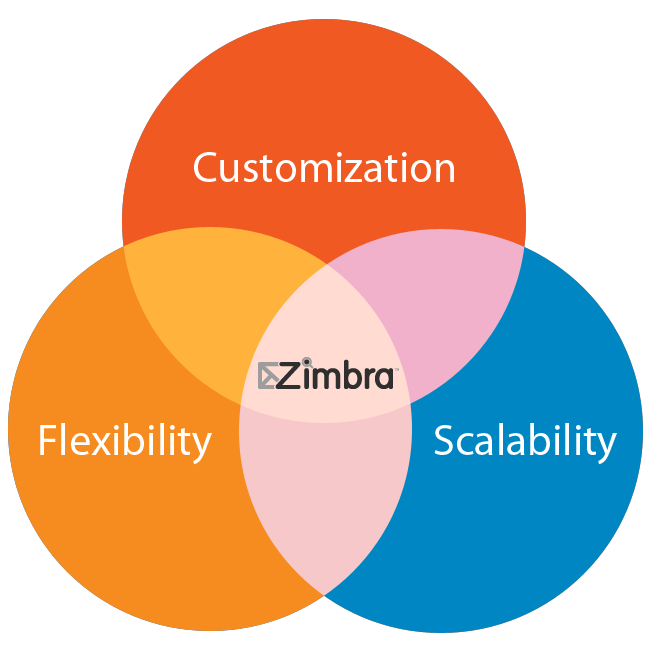 There are 3 core strengths that the Zimbra platform provided in 2006 and continues to provide in 2013: flexibility, customization, and scalability. Recently Zimbra was sold by VMware to a leader in the Social Community space called Telligent. (Telligent supports an impressive customer list.) Building on the established pillars of both companies we see a well defined path for market engagement and commitment to customer benefit. We couldn’t have asked for a better fit and here are 5 reasons why. It is all in a name. It was a strong statement for Telligent, with their powerful fortune 500 customer list, to take on the Zimbra name as their own. This speaks volumes to their commitment to the collaboration suite and the future of their brand. Moving forward, the email hosting market will really get to know the Zimbra brand. I’m telling you now, Zimbra Social Collaboration is going to get really big, very fast. Telligent and Zimbra are both built on strong APIs and the upcoming structure for both platforms will eventually unify allowing for easy integration of both the Collaboration and the Social service suites. This will allow customers to pick and choose the features and services they want from either suite. Rob Howard, CTO and Founder of Telligent, has committed to consistent release pattern and supporting each one for approximately 3 years. That is commitment! RTC played heavily in their demo for the next generation of Zimbra Collaboration. They showed us real-time chat with presence, live video chat, and voice integration, decidedly leaving us wanting more. Bring it on Zimbra! Our customers are going to love this. The end user experience is the driving motivation for everything they do. Your ability to rapidly communicate, work efficiently, message easily, and participate in communities effectively is the ultimate goal. It is driving the business market and how we work and live. Zimbra Social Collaboration will allow us to provide all or part of these quality services to our customers, quickly and affordably. Very soon Zimbra should be announcing a webinar where they will publicly announce the road map for the product suite. If you are interested in unified communications, the future of messaging and social practices, this is a good one to watch for. You can find all The Big Social presentations available as PDF files. It was a real pleasure meeting with key players in the industry. The teams from Zimbra and Telligent were easy to talk to and very receptive to input from our team. Both companies have a very loyal base of customers and partners proving that the new Zimbra is the right fit for XMission and our customers. Be sure to follow our blog as I will provide updates about this and other industry trends. As always, please leave any comments or questions below and don’t forget to follow our XMission team by clicking on the social links at the top of the page. Thanks for the write-up John and glad you could join us for the conference! Thanks for the great post-TBS sharing, John. I have tweeted your write-up to share with my customers and partners in ASEAN who were not able to make the trip to Dallas. Cheers! Great summary, John! Those five points indeed convey a fantastic message. Great post, John. Glad you were able to attend and got so much out of The Big Social 2013, which was our best yet, in my opinion as a veteran of four of our user conferences. It was wonderful meeting you last week, and I enjoyed reading your blog! You’re right, customers DO matter! When researching the Telligent purchase of Zimbra I came across an interview that Rob did with Scoble, http://youtu.be/sRoNl0Xk188. Rob tips his hat towards Unified Collaboration at 15:45 in. Great post! I attended your session and it was great to hear your use cases! Love your license plate!!! Zimbra via XMission is what we recommend exclusively for all our clients. XMission’s tech support is as good as it gets: 24/7, online and telephone. Call anytime day or night, and hold times are minimal, if at all. (Telephone support from Google is basically non existent. Put your phone on speaker and hope it doesn’t run out of juice while you are on endless hold). And finally to these updates: Rock on! All major Social Media easily tied with mail? Yes. We need it and will highly recommend it to all of our clients. Update: Zimbra announces upcoming webinar where they will share the roadmap for Zimbra Collaboration (Email). Follow the link and sign up for the event. Very thorough review. Thanks for your comments on Always-ON project and its usefulness to Zimbra community.